Yesterday was truly amazing, I had so much fun! My sister and I started off at Molly’s Irish Pub in Warrenton for lunch. I went outside my normal ordering and I got Bangers & Mash, it was really good. It was small little restaurant, but with a wonderful and pleasant atmosphere. We then went to Georgetown for a Chocolate tour. It was so much fun; I enjoy spending time with her. We do nothing but laugh!! 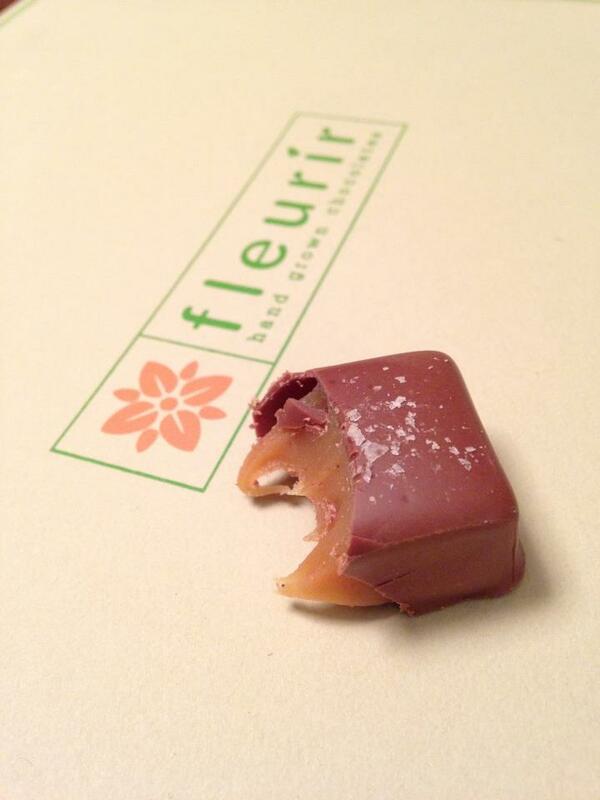 We missed the tour, but we tracked them down at this wonderful place called Fleurir Hand Grown Chocolates. Their chocolate was amazing, their bakery is in Alexandria and their adorable store was in Georgetown. They hold chocolate cooking classes and we are going to plan a weekend to do that. I love CHOCOLATE! We came home and brought my brother in law Ben a South Bar “Hickory Smoke Caramel and Crispy Bacon in a milk chocolate blend. The name might turn you off, but it was actually pretty good. After the tour my sister took me to the Exorcist Stairs, it was creepy. I remembered never wanting to watch that movie and I finally did at the age of 21. The crazy part is that I’m a horror movie queen, but that movie just scared me. We went to the stairs and then my sister says lets go up it and my first thought was to hurt her. I love when I’m with her because she pushes me out of my comfort zone. I went up and down the stairs 2 times and my sister went 6 times. We are on a healthy journey together and we enjoy pushing each other. We are going back once I lose 57 pounds and we are going to run up those stairs 10 times. This was a Christmas gift from my sister b/c she knows how much I love chocolate. I love her so much and I love that we are best friends. We are heading to New Jersey and Boston in two weeks and I’m super excited.